A Carnival Cruise Line ship that is hosting a tour centered on Pittsburgh sports has rescued 16 migrants in the Gulf of Mexico. 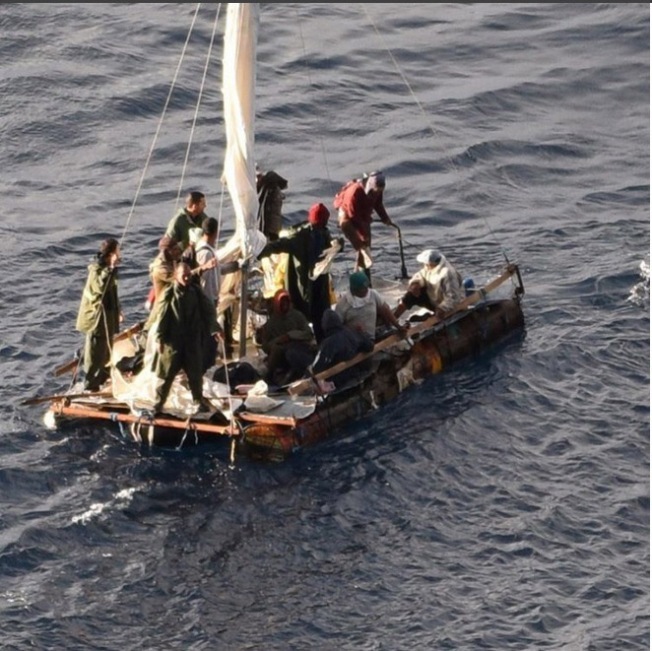 Carnival spokeswoman Jennifer de la Cruz said the Carnival Sensation found the 15 men and one woman Saturday about 50 miles north of Cuba and brought them aboard. Coast Guard Petty Officer Jon-Paul Rios said they would be turned over to Mexican immigration officials at the ship's next stop, Cozumel. The rescue got wide notice when Pittsburgh Steelers linebacker James Harrison posted rescue photos online. We just stopped for this boat with 16 people in the middle of the ocean. Waiting for coast guard now. The cruise started Thursday in Miami. Other former Pittsburgh athletes whom organizers said would be on the cruise include Steelers running back Rocky Bleier, Pirates catcher Manny Sanguillen and Penguins center Bryan Trottier.